Wide Open Spaces publishes the Black Beauty story! This melanistic buck was a ghost for years for one Texas hunter.A couple months ago we did a story about the rarest deer color phase of all, melanistic. The story proved to be quite a hit, as many people don't seem to know about this ultra rare genetic trait. Melanistic deer are the exact opposite of white deer that have albinism or are piebald. They have too much pigment in their hair, giving them a dark or even black appearance. Right after the story was shared I got an unexpected phone call from Texas. I was not expecting the amazing deer story the man on the other end was about to tell me. For today's #WhitetailWednesday, we're bringing you the story of an awesome melanistic Texas 10-pointer. George Blitch was calling me from Central Texas, which coincidentally has a higher instance of melanistic deer than anywhere else in the world (based on a Texas Tech University study). The main counties are Guadalupe, Comal, Blanco, Burnet, Caldwell, Hays, Travis, and Williamson. No one is really certain why there are more melanistic deer in these counties than other parts of the country, but the odds are still against deer hunters ever seeing a black deer. All told, the condition has only been documented in 29 states. To give you an idea of the odds, it is said only 1 in 10,000 animals is an albino deer. Seeing a black one is probably akin to hitting the Powerball lottery. 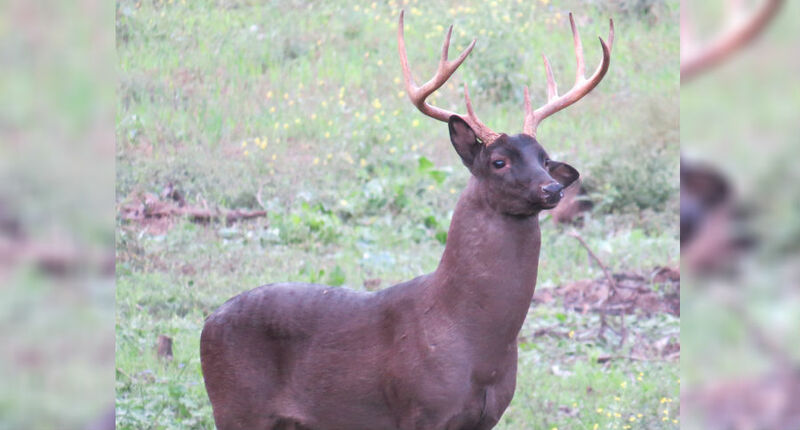 In 2012, Blitch had heard rumors there was a melanistic buck in the area. Considering the odds, it is little wonder he never expected to see one himself. But when he took over management of the wildlife on a cattle ranch previously run by his grandfather, lo and behold, he had an encounter. Instead of continuing the cattle business, Blitch wanted to turn the property into a whitetail paradise. The family started holding off for bucks that were five and a half years old or better. 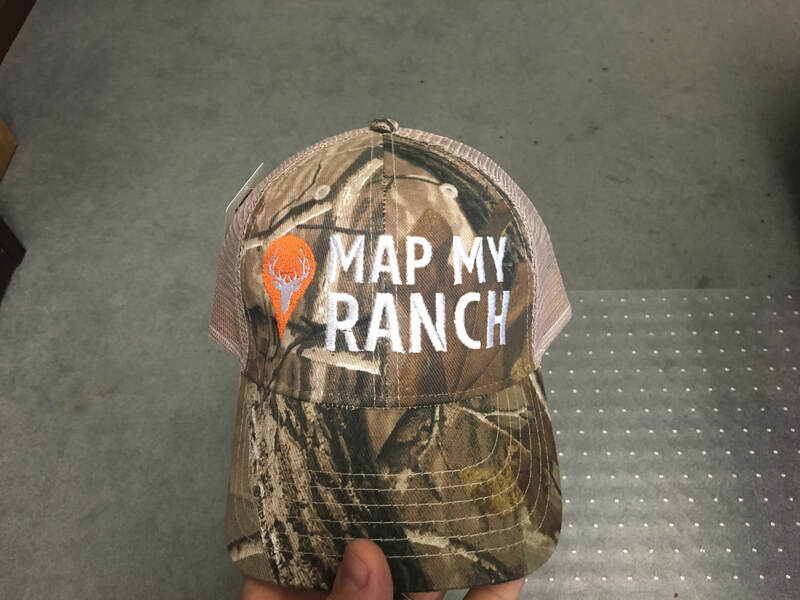 They also began working with the Texas Parks and Wildlife Department to get ideas on how to improve the ranch's habitat and food sources. 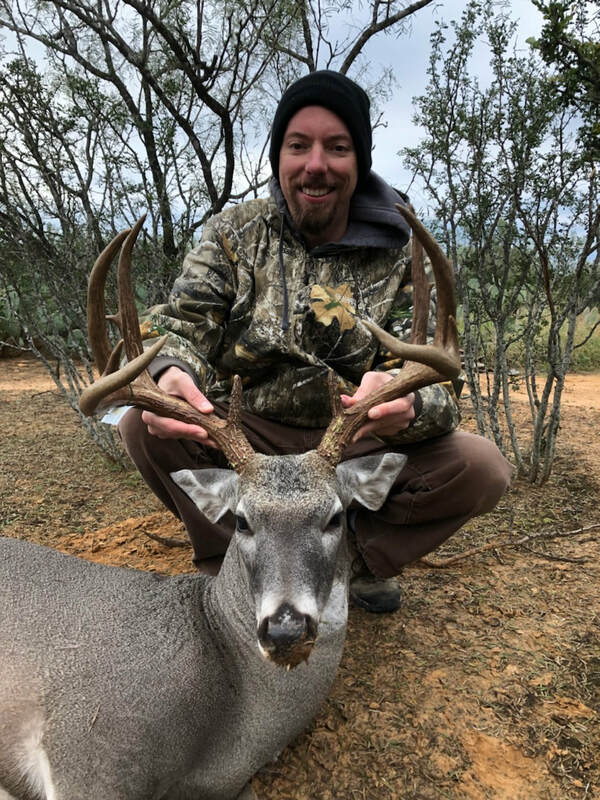 It was while he was driving around the ranch mapping out preferred browsing plants recommended by the TPWD that he had his first encounter with a buck that came to be known as "Black Beauty." The moment only lasted a few seconds, but it made an impression. "It was unmistakably a very dark deer," Blitch said. "I thought, 'Did I just see what I think I saw?'" 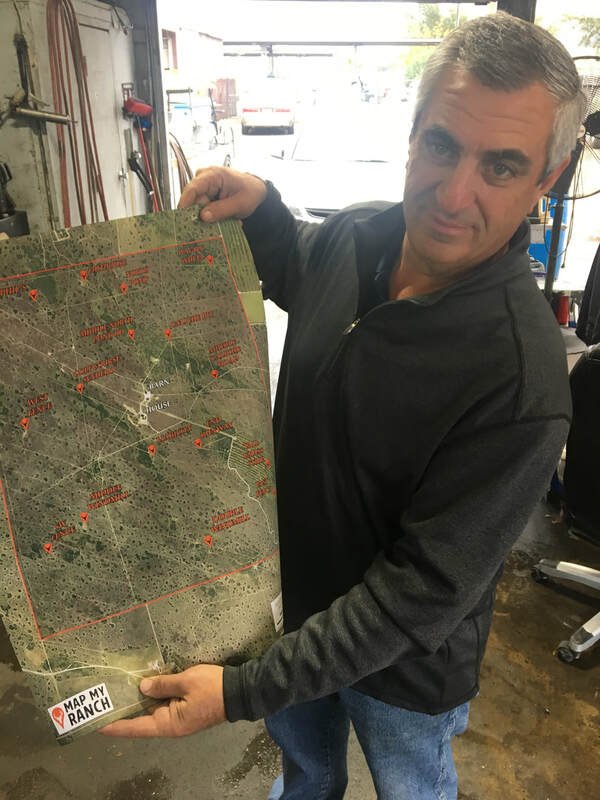 Blitch's doubt only grew, because almost two years went by and there were no further sightings of the animal despite numerous game cameras on the property. "There must have been a million game cam photos and there was never a single one (of the black deer)," Blitch told me. Then in 2014, there came confirmation the animal was still around. George and his wife Meg were driving around the property when they had another encounter that only lasted a few seconds. The encounter happened so briefly, they wondered if what they saw wasn't a deer at all, but maybe a donkey or other animal. But they concluded the animal moved too much like a deer, and it could only be the mysterious melanistic deer that was like a ghost on the property. The buck finally showsFast forward another year to December of 2015, and Blitch said he finally got the trail camera confirmation he had been waiting for. He got three photos of the buck. They weren't great quality, and the best one was a blurry shot that showed the buck running away. But it was unmistakably a black deer. "It was like a Bigfoot photo," Blitch joked. The photos were confirmation of the two fleeting sightings of years earlier, but Blitch and family decided to hold off on taking the buck until they could confirm it hit their preferred age restrictions. It turned out to be easy. The buck never showed again on camera or in person again in 2015. 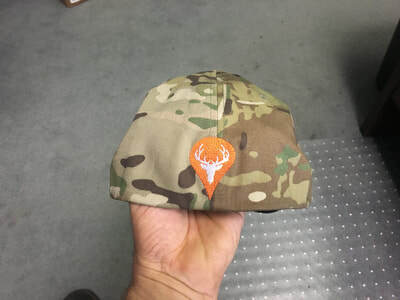 After a while, Blitch began to wonder, like many hunters would in this circumstance, was the black whitetail already dead? Blitch continued to work with the TPWD on improving the ranch's habitat for whitetails, and eventually began working to create new food plots on the ranch. He continued to hope Black Beauty would reappear on camera, but weeks and weeks went by with no sightings as the 2016 deer seasons started to kick in. Again, Blitch, his family, and friends were utterly convinced the buck had either moved on from the area or was already dead. Then on November 9, everything changed. Blitch's buddy, Jacob Spradling, excitedly called him to announce he had spotted the black whitetail and the buck was nicer than anyone thought. Jacob had spotted the buck at last light on one of their new food plots. He felt like he was at least a 10-pointer. The next day Spradling returned to the same spot and saw the buck again. This time he took some photos of it, but didn't shoot it because he felt it was "George's buck." When Spadling sent Blitch the photos, George could hardly contain his excitement. "I was jumping around like a kid on Christmas," Blitch said. He immediately decided to hunt the stand where Spradling had sighted the animal the following afternoon. It was November 11, Veterans Day, which was only appropriate. Blitch's grandfather was a World War II Air Force pilot, and this was his ranch the buck was hanging out on. Blitch took the day off and headed out to the stand hours earlier than normal. Almost immediately he spotted three dark shapes. But this wasn't Black Beauty; it was three cows who had become regular unwanted trespassers on the property for the last year. 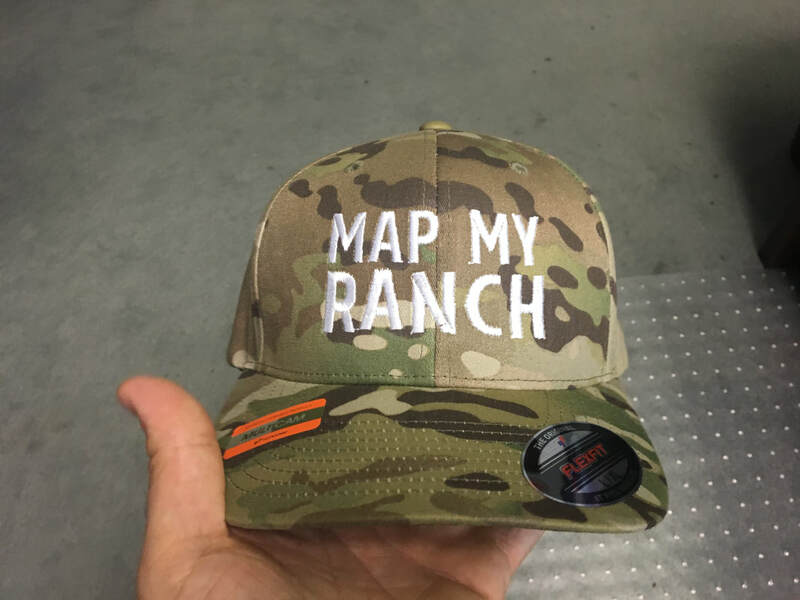 Worried the buck wouldn't make an appearance with them in the field, Blitch decided to take action. So he ran out into the field waiving his hands to scare the bovine intruders away. But once he got back to his blind, he realized he may have made a huge mistake in leaving his scent all over the food plot. Nonetheless, Blitch was determined to see this evening's hunt through to the end. As he waited and as it got darker, his eyes began playing tricks on him. "Every shadow turned into a melanistic deer," Blitch said. Finally, one of those shadows turned into the real deal. The buck that had eluded Blitch for so long finally stepped out. Blitch had anticipated the buck showing up at 100 or more yards out, so he had the scope's magnification dialed up. When the buck stepped out at just 33 yards, it was a problem. "All I could see was black," Blitch said. Very carefully, he dialed the magnification down and took the shot. The buck only ran about 25 yards and piled up. Blitch had his deer of a lifetime. The black buck sported a 10-point rack of around 120 inches. Blitch has done some digging and says he's unaware of another melanistic buck with antlers larger than this one. Perhaps even more astounding than the buck's beautiful dark coat was its age. Blitch and his family found the buck's teeth were quite worn and indicated the animal was at least 7.5 years old. Blitch said he didn't think the buck would have survived another season. One of the interesting things about this kind of genetic mutation is it is believed to be one of the few that is said to give a survival advantage. That definitely seemed to be the case here. Blitch elected to have a head and shoulder mount done. He said he wasn't even thinking about a full body mount at the time. He still saved the buck's hide, and says he has no regrets. Quite often the shooting of an albino or piebald buck brings a lot of attention, both positive and negative. Blitch is one of the fortunate ones. "There wasn't a whole lot of flack," he said. Instead, the taking of this buck has been something of a springboard for educating others about these rare whitetails. He has spent some time working with the Quality Deer Management Association and other groups since his harvest to raise awareness about melanism in whitetails among the public. He hopes it will help scientists to understand more about these rare whitetails. Interestingly enough, after harvesting the buck, Blitch checked his trail cameras. He learned he finally captured some clear photos of the deer taken about a month before his harvest. This buck was a ghost of the forest no longer. We want to thank George Blitch for taking the time to share his amazing deer story with us. Congratulations again on an awesome animal, and kudos for using it to help and inform others. I was looking for a trusty mechanic in my area of Houston and everyone told me to go see the owner, Gus, at Tully Auto Care. He turned out to be the kind of guy you want to work with - honest, caring, and extremely professional. We became friends and one day we got to talking about hunting, and I told him about Map My Ranch. We ended up developing a large wall map for him, which he and his family loved. I showed him some examples of our WeatherProof maps soon after, and he ordered a handful for his family and friends. Thanks again, Gus....for keeping my truck running tip top, and for being a happy and loyal customer! SNAKE!!! Well...that might just be ok! A lot of people don't understand the benefit of snakes in their habitat. I understand removing venomous snakes from areas where our habitats overlap. Some prefer to use a long stick to remove them, others a long gun barrel...I understand both sides in that decision. Coachwhips and rat snakes are very appreciated near our house at the ranch. We let one rat snake live in our outdoor tool shed/laundry area. Before he moved in the mice would get in and chew the electric wire components out of everything in there. Once the rat snake moved in, we had zero problems. He wasn't aggressive, so we just gave each other some space and all was well. There are many videos of coachwhips taking out venomous snakes. They can also help you control your habitat in that way. We have a couple near the house and - maybe by chance, but probably not - we don't see any rattlesnakes as close to the house as we did before. When I was a kid, I used to think every snake should be shot at the ranch. When I started to realize their benefits, that idea changed. I will say that if I see a rattlesnake or other venomous snake near the house, or in an area we are frequently around, I don't take chances. I relocate them to the freezer. I save the skin and eat the meat. I understand why others do the same, and I understand those that let them go on their way without harm. Anyhow, I just wanted to share some benefits. It wasn't until I leaned that I evolved in how I thought. I encourage people to learn about the benefits and balances of all animals and plants in the habitats we hunt around. There's more to learn that just hitting your target! We recently called Strong Skirt TX to come to the rescue to replace a very weathered and worn out skirting that was on our home. We researched many different types of materials and when we came across Strong Skirt, we knew we had landed at our destination. 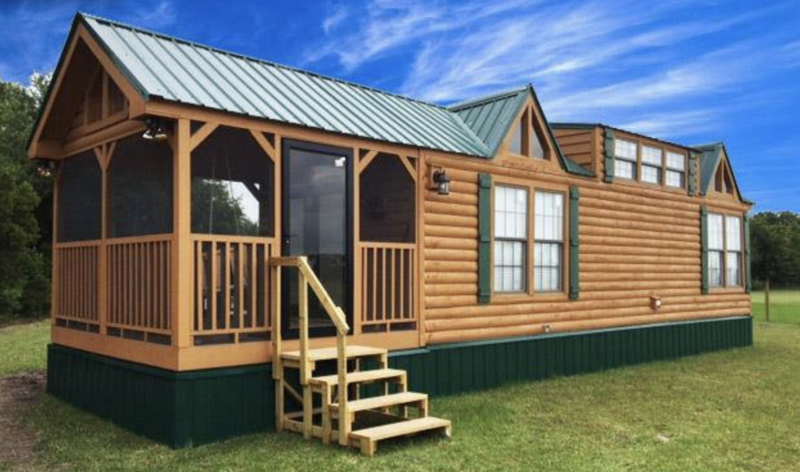 The metal skirting is wind resistant up to 100MPH, it is weed eater proof, affordable, and has a 40 year valspar finish paint, so we know it will stand up to the test of time better than all the alternatives. 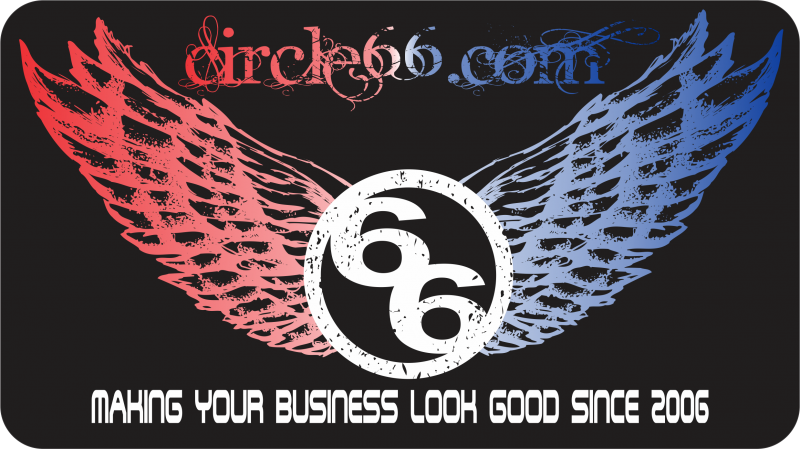 We highly recommend you give them a call and check out their website for more information! One80 Light - world's 1st peripheral LED headlamp! I first learned about the One80 headlight when the company held a kickstarter campaign roughly two years ago. I remember seeing an ad and thinking this was a truly ingenious product. Being a hunter, hiker, outdoorsmen and a dad, there has been many times when a good headlamp has come in handy. What is unique about the One80 Light is that the LED lights cover 180 degrees of your vision – a truly first of its kind peripheral light - so you don’t have to move or turn to light up whatever is around you…this alone sent me to their campaign immediately to purchase one of the One80 Lights. 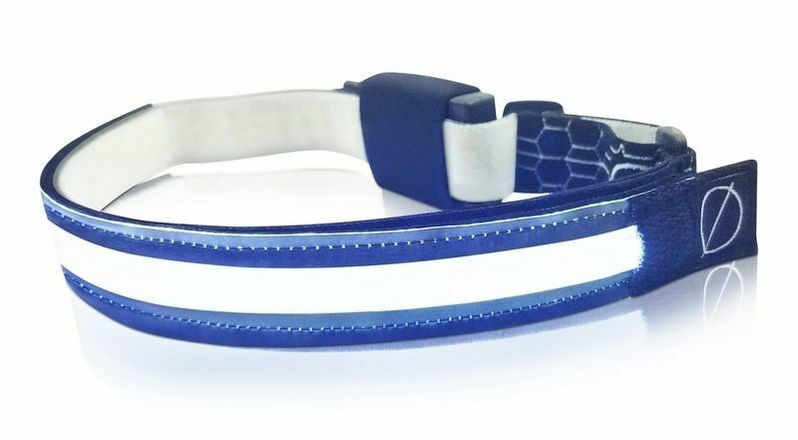 It is worn like a headband and is super comfortable and not hot at all. I can’t tell you how many times I have used it since I first purchased one. Around the house, I have used it to install ceiling fans (kinda hard to do in the dark), to work under the hood of my truck or my wife’s car, to find all those Christmas decorations that hide in the far corners of the attic, and for going to check the brakers when the electricity was knocked out during a storm. At the ranch, I have also used the light to walk to my deer stand countless times. Using a normal headlamp would light up the pathway wherever I was looking. With the One80 Light, I was able to see my pathway, and all the areas around me. 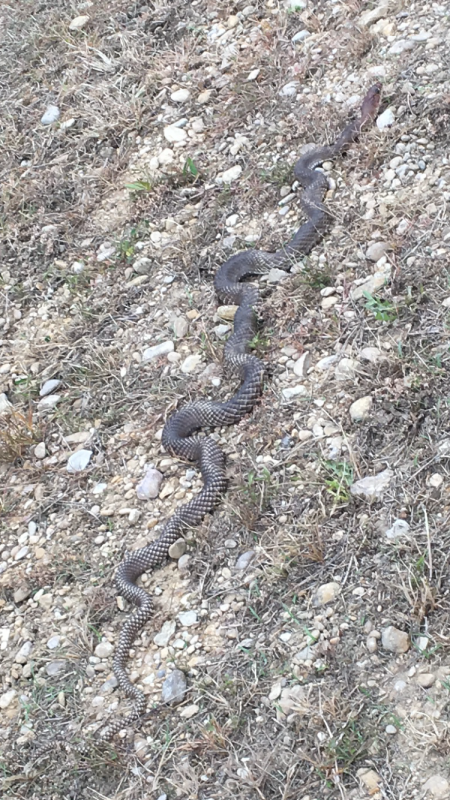 With a few types of venomous snakes in our hunting areas, you want more light, not less! 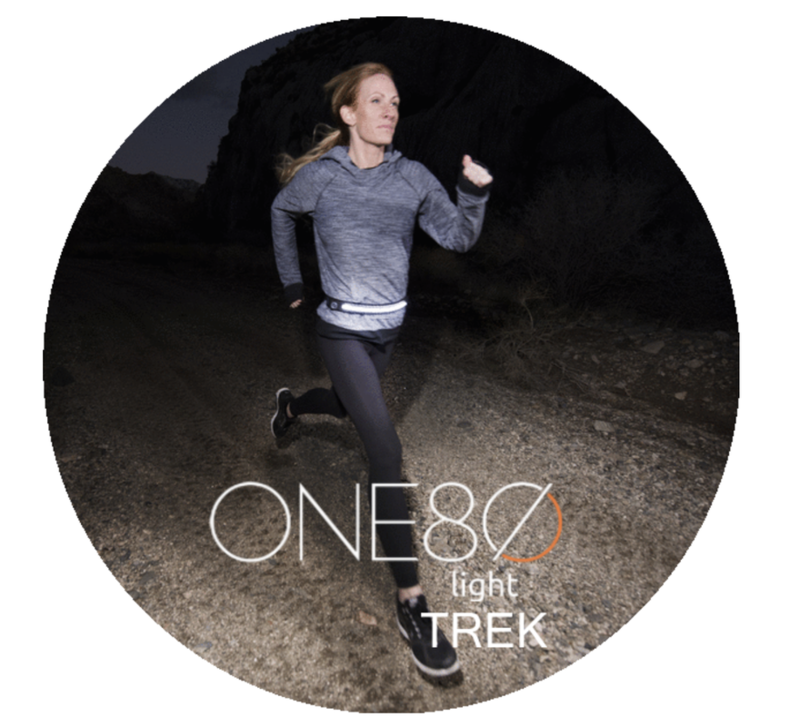 One80 Lights will surely give you the comfort of being able to see more than your tradition headlamps. I used my One80 at night to fill feeders when it gets too dang hot to work in the middle of the day here in Texas. I have also used it when working under the hood of tractors and other farm implements. There are countless uses for the One80 Light! Recently my wife mentioned she wanted to get her own One80 Light, so I ordered our second one on the One80Light.com website – and learned that it now has two illumination settings and comes with an improved battery – with 3 hours on high or 7+ on the low setting! The batteries are rechargeable via an included USB cable. I know it is only April, but I just finished my Christmas shopping early. Everyone is getting a One80 Light! Just keep this on the down low…don’t want to spoil their surprise! UPDATE: check out the TREK Belt below! You can have a One80 headlamp and a One80 Belt - you so can run, walk, work, and more - in what feels like daylight conditions! 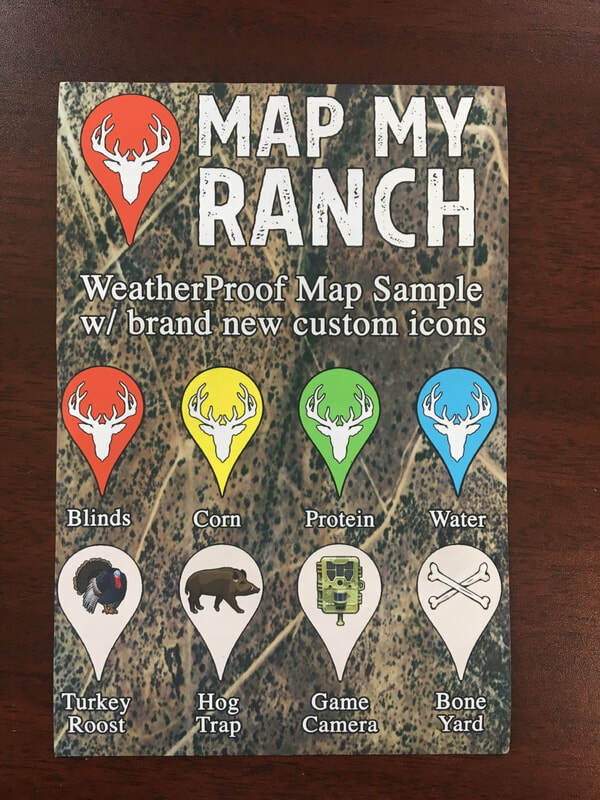 If you want a free sample of our new foldable, tear-proof, water resistant WeatherProof maps, send us an email with your address and we'll send you a sample 4" x 6" in the mail for you to check out.